Out of the Darkness was my first Finnegan Connection book AND my first Heather Graham. As far as it being the first book I’ve read in the series, I didn’t feel like I missed anything, which is always a great feeling. I also liked Heather Graham’s writing, so that was a definite plus. The basis of this story is creepy, so when I started reading it that first night I immediately put it back down and picked up something fluffier. Once I got into the story though, I was much more comfortable with it and enjoyed the plot quite a bit. My only complaint would be that the last plot twist felt too forced and ended up annoying me more that enhancing the story. Other than that minor hiccup, I read this pretty quickly. I liked the main characters and wished that we could have seen more of Davey. 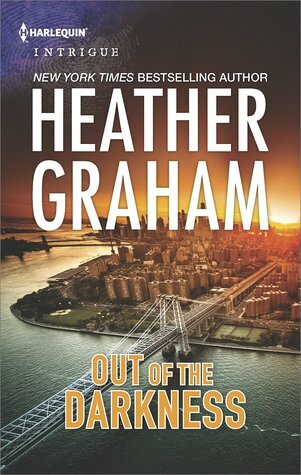 I was impressed by my first reading of Heather Graham and if I see another book by her I won’t hesitate to pick it up. Instead of recapping the story, I’ve included “The Blurb” below. A love rekindled…or a deadly reunion? Even after a decade, Sarah Hampton is haunted by the night that nearly ended in a bloody massacre and destroyed her high school romance with handsome Tyler Grant. Now the horror has returned. It’s a reckoning from the events of that terrifying night—and a love they never let go. Only this time Tyler must protect Sarah from the killer hiding in the darkness…or lose her forever. 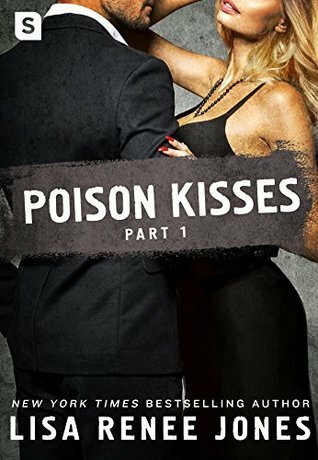 Poison Kisses Part 3 really delivered when it came to the rest of Seth & Amanda’s story. It starts with a flashback to “that day” and then immediately following it we get back to present time. They are as hot as ever together and I liked that there wasn’t any BS to their relationship. I wasn’t a fan of having the book broken up into 3 parts.The novella length wasn’t fun for me, but this is probably just a personal preference because I don’t like novellas in general. By the end of the book I really enjoyed Bear’s character. I know that Poison Kisses is a spin-off of Dirty Money, but can we have a spin-off of a spin-off with Bear as the main character?? I can already tell I would love him. Lexi Ryan ALWAYS delivers and The Wrong Kind of Love is exactly what I needed. It has been quite awhile since a book made me stay up late, but this was it. You know it’s good when you still stay up until 3AM knowing you have to be up at 6. Nic & Ethan are one of those couples that I just love together. Their “relationship” starts HOT and then turns to ice when he finds out that she’s “the babysitter”. Ethan’s devotion to his daughter doesn’t allow him to bring another woman into his life, but his attraction to Nic is unavoidable. There are promises kept and secrets revealed and undeniable attraction. I can’t wait to read the next books in this series. There were hints to the plots coming up and they sound AMAZING. I seriously can’t wait. We LOVE this book!! Seriously. I have 2 boys and we tried a few experiments in this book when I got a copy from NetGalley but then the book expired and my kids were bummed. Kids bummed over a science book? This book earned itself a permanent spot on our bookshelves. We haven’t done a ton of experiments, but we do pull it out every couple of weeks and try something. 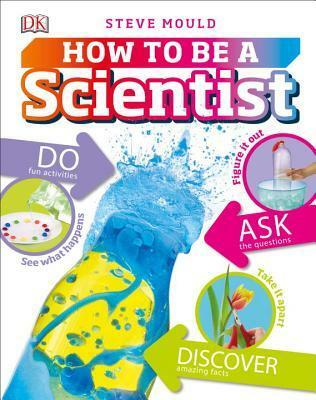 What I love about this book is that most of the experiments are easy to do with items we already have around the house. So many times we’ve wanted to do experiments we’ve seen in other books or online only to find that we didn’t have all the ingredients or items needed. Then the excitement over the experiment waned, and I would never go buy the missing items. With this book most of the experiments use things around the house or that most people already have in their homes. It makes it super easy to go from idea to execution. This is easily THE BEST science experiment book we own. Anyone that regularly reads my reviews knows that I’m constantly trying to read outside my comfort genres. I love romances & YA fantasy, so that is what I read the majority of the time. What I don’t mention, is that I prefer to read books written by women. So when I picked up this book that was obviously out of my comfort zone, I assumed it was written by a woman. It’s not, and what’s funny about that is that I shouldn’t have assumed Riley was a female, as one of the best guys in my life has the same name…. What I didn’t know was that I’m not the only woman that prefers books written by other women, so the pen name of Riley Sager was chosen specifically to get around this bias. I have to say that as much as it annoyed me when I found out, that I’m also kind of glad because I really did end up enjoying this book more than I expected to. I never would have picked it up otherwise. 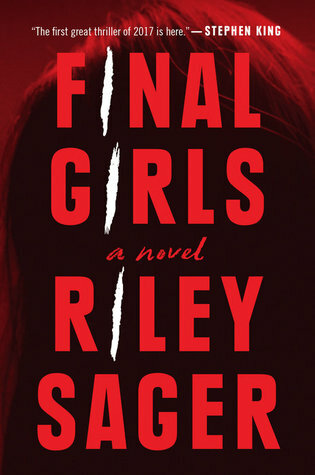 Final Girls felt slow moving at the beginning of the book and I often cringed at the actions of Quincy as they got increasingly more erratic. What kept me going was the desperate need to find out what actually happened that night. I had many guesses, and never really settled on one. I also had a “I hope this happens” that didn’t pan out. What did happen, was that I got blindsided by the truth. I didn’t particularly like the reveal, but it was shocking and I always like that. Poison Kisses Part 1 is the book that I thought Falling Under was when I first started reading it. Seth has been this undeniable presence in the Dirty Money series. He’s intriguing, but we know nothing about him except that he’s loyal and exceptional good at his job. This is his story and it pulls you in instantly with its intensity. The only thing I don’t understand is why this was broken up into three parts. I haven’t read the 2nd and 3rd part yet, but I would assume it reads like a normal novel so I’m not sure what benefit comes from breaking the book up like this. Seth is known as The Assassin. Amanda is The Scientist, but Seth prefers to call her The Poison Princess. Their working relationship turned into a romantic one while they were undercover as a married couple for several months. Then Amanda went on the run without her partner and he’s been chasing her down ever since. The chemistry between these two is on point, and there is a definite push-pull to their relationship. There are obviously feelings there, but they are both fighting them with everything they have. I loved it, and can’t wait to read Parts 2 & 3. If you are a fan of PNR then you have definitely heard of Christine Feehan. Her name is synonymous with the genre and she has many series that span many years. I’ve never read one of her books because I hate jumping in at the middle of a series and the first books in those series seem so long ago that I never want to pick them up. 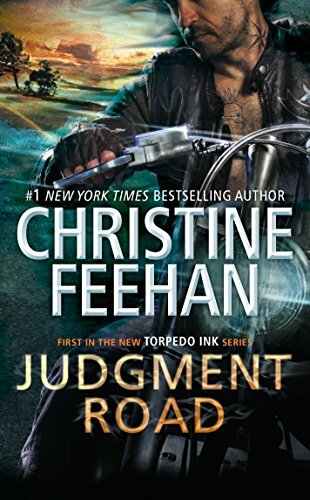 Judgment Road is the first book in her new Torpedo Ink series so I jumped at the chance to read it. This book is darker and grittier than I expected it to be, but I liked that it went in that direction. I’m usually sensitive to violence, but it fit with this book. I will say that there are multiple triggers (so many I couldn’t possibly remember them all) but abuse of all kinds is rampant in their pasts. Reading this book made me wish that I had read more of her work (especially Blythe’s story) but I didn’t ever feel like I had missed something needed for the plot. Just that I want to know more about these characters in any way possible. I enjoyed this book quite a bit, and I can definitely see why shes a constant favorite in the PNR genre. I will be going back to read some of her older books so I can enjoy more of her writing. Lucky for me there are dozens of books to get through before I’m caught up on her.